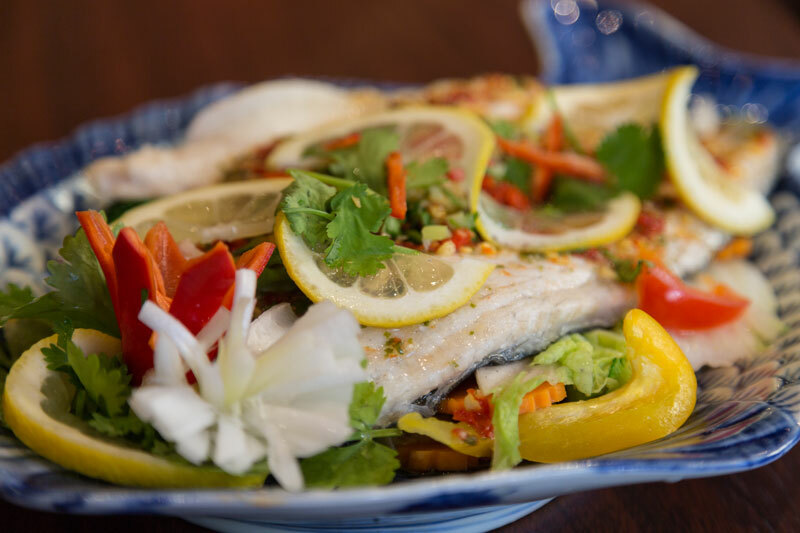 AThese light and refreshing 'ZINGY' salad balance spicy, sweet and sour taste. 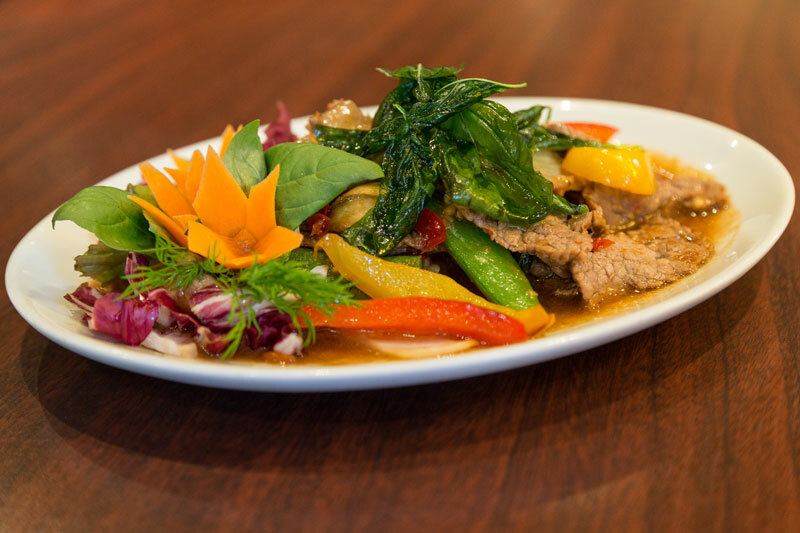 Ask for them Thai style for an extra kick of chilli. 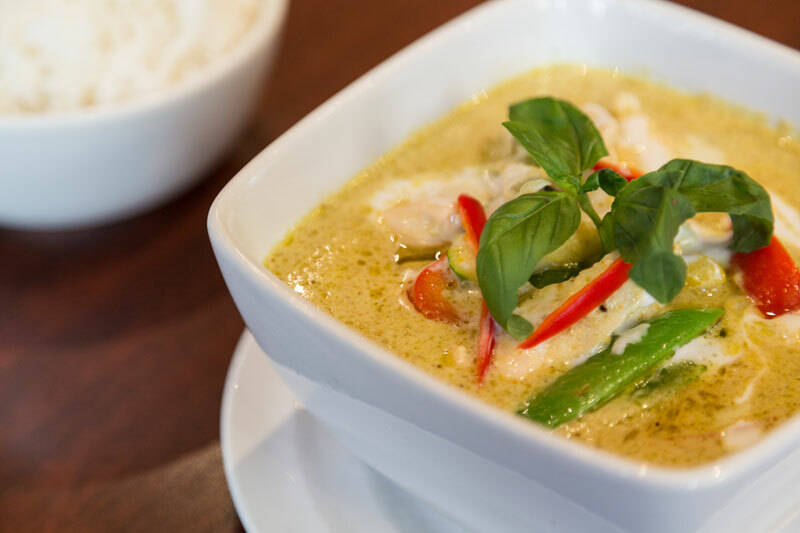 These coconut based Thai curries each have their own individual taste and heat. The mildest curries are Massaman curry and Yellow, followed by Green then Red and finally Panang curry. 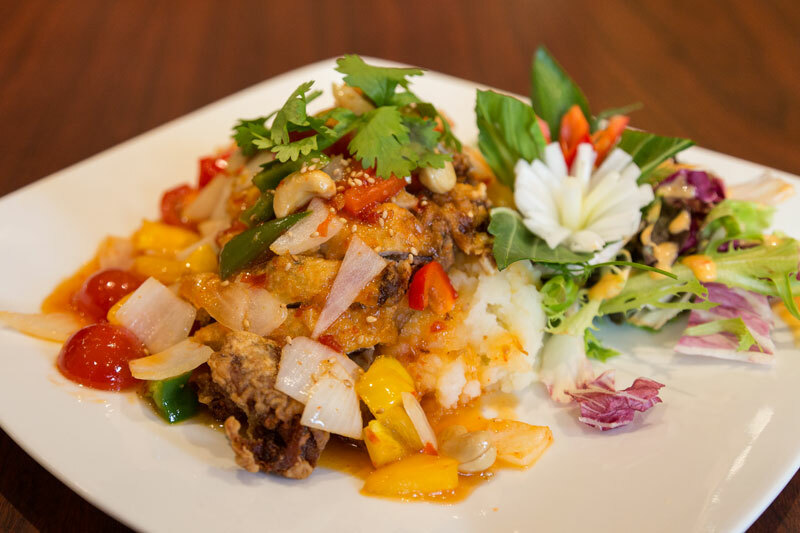 We can add chilli to your taste by request. 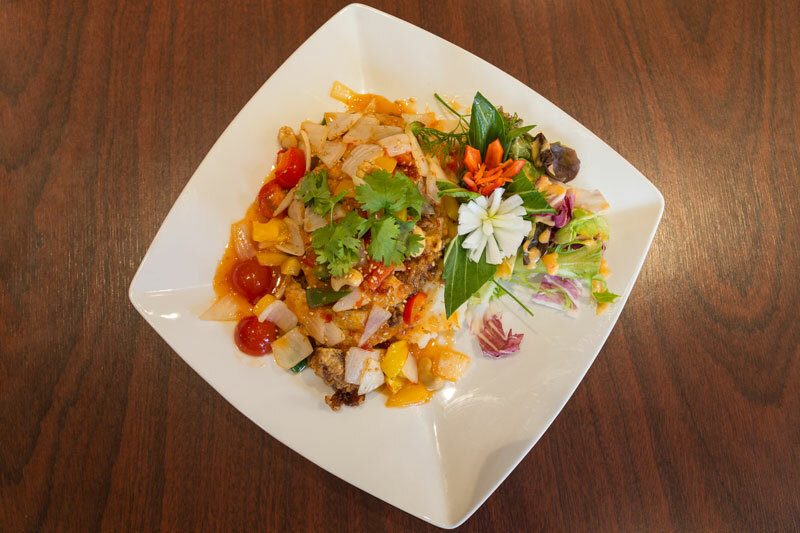 All vegetarian dishes are cooked with our special vegetarian sauce. Slimming Curries: all cooked in light coconut milk Slimming Stir Fries: all cooked in low calorie fry light cooking spray and light soya sauce. 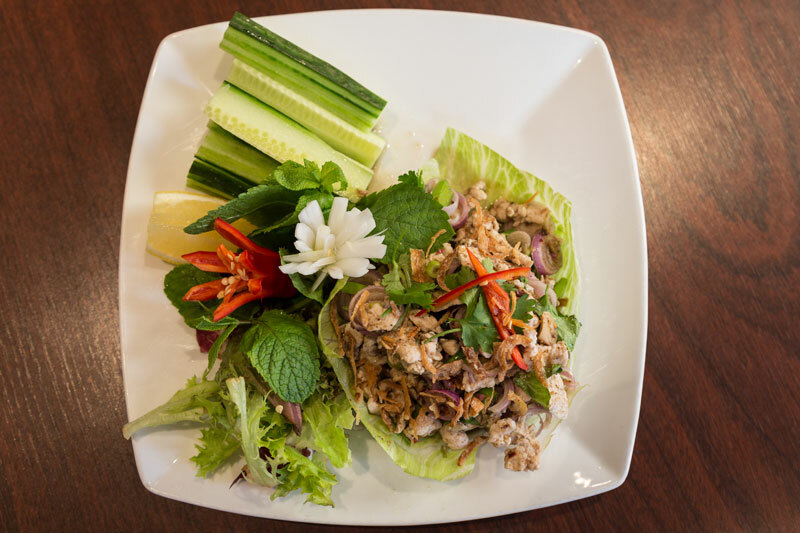 At Thai Orchid we like to offer more so why not choose one of our meal deals. 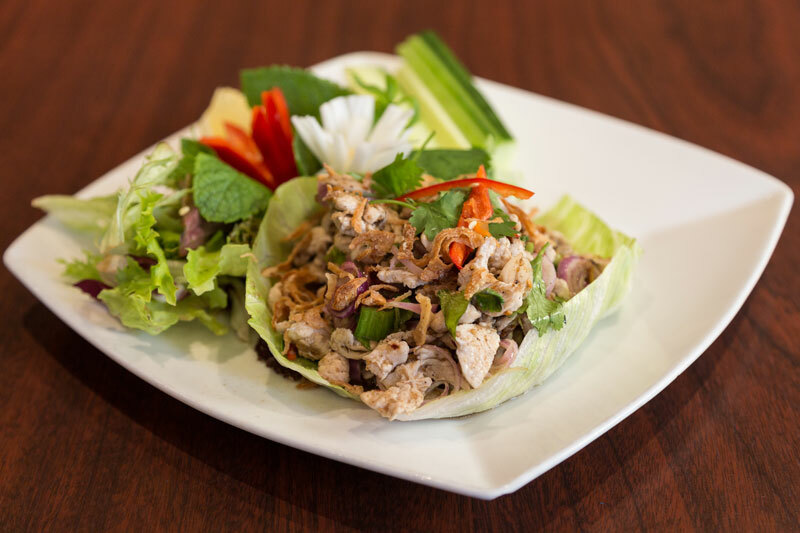 Please allow us 45 minutes for delivery during busy periods Thank you in advance Authentic Thai Food. No MSG used. Cooked in the kitchen by Thai chefs. Irish suppliers used where possible. WE USE TOP QUALITY IRISH BEEF WHICH IS FULLY TRACEABLE TO ITS FARM OF ORIGIN. SOME DISHES CONTAIN PEANUTS. 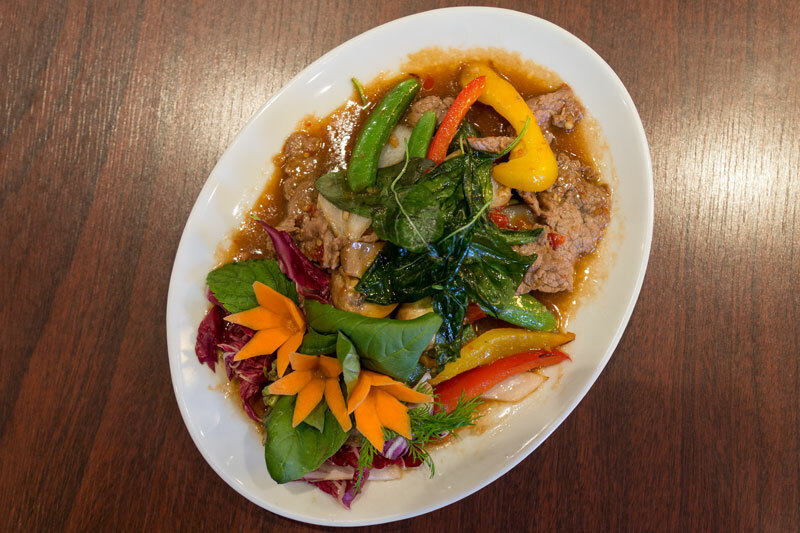 All main courses can be prepared mild, spicy or Thai spicy upon request.